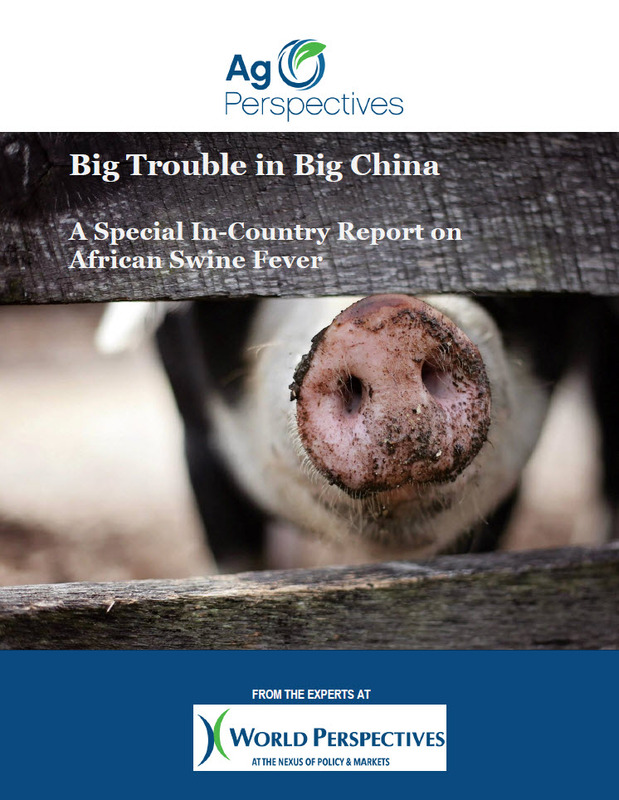 The African Swine Fever outbreak in China is far from contained and its impacts will plague the industry into the year 2020. The ASF outbreak comes at a time of slowing economic growth in China and rising consumer dissatisfaction with food safety standards. The government faces national and provincial-level hurdles to address these challenges. For the industry, only the strong and focused will survive. WPI's collaborating analysts from Williams & Lu take a deep-dive into the true nature of China's struggle against the disease and how it will shape the nation. Current efforts are like "bringing a squirt gun to a wildfire" and are unlikely to make a difference in stopping the disease soon. Moreover, the outbreak comes at a time of slowing growth in the Chinese pork markets, adding fuel to the plummeting market fire. Plenty is at stake for the U.S. and global pork markets, not to mention China's soymeal demand, and this report looks insightfully at what the probable impacts. Current Ag Perspectives clients can access the report here, and non-subscribers can Contact Us to request a copy.